There has been a lot of "fanfare" lately regarding the Quincy area's "Big Box" home improvement stores. Hundreds and hundreds of thousands of square feet, with selections ranging from lumber and home improvement supplies, to even candy bars and bottled water...all under one roof. One big, expensive roof. On the other hand, there are locally owned stores like ours; Midwest Paints and Home Center. We are just a few blocks away from the "big boys", but that short distance can mean a lot to you, our customers, when your are doing your own home improvement projects. Our sales staff are professionals in their field, and "live and breathe" home improvement every day. Our building is convenient to shop...once inside, you will discover a fantastic selection of paint, flooring, cabinets, baths, doors, granite countertops, and more. All with the brand names that you know and trust, not generic labels or questionable "knock-offs." We take pride in our store, our selection, and our professionals who can guide you through your project, from start to finish. And with Midwest Paints and Home Center's low, low overhead, we can compete "dollar for dollar" with any retailer in the area, with no compromise in quality. Before you begin your next home improvement project, do yourself a favor and make a quick stop to our store. 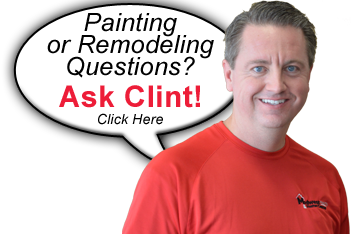 Let us show you just how easy home improvement can really be...with the help and guidance from a local business who really cares...Midwest Paints and Home Center.